Why Small Business Need ERP Systems? 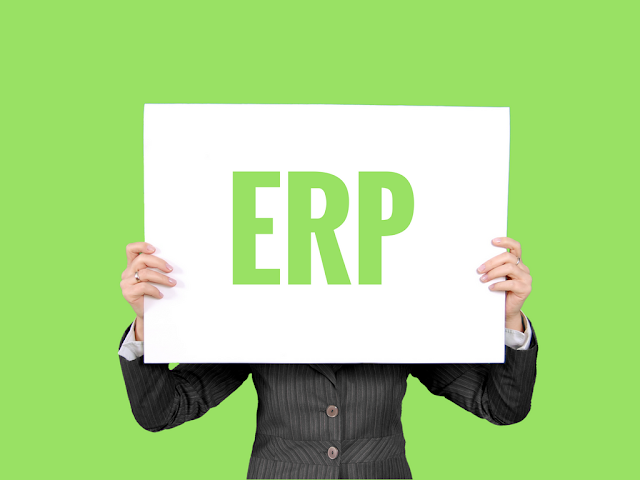 Let’s start with the abbreviation of ERP, which means Enterprise Resource Planning. ERP is considered to be the backbone of many small scale businesses. ERP software manages many kinds of things like productions, management, inventory order status and etc. It may also track the resources which are in between the stakeholders of the company like materials, orders, profit, loss, employees and other products making and productivity. This all done by a single database management system which includes a dashboard and on-site analytics. ERP is a big topic that may require a lot more detailed understanding before jumping into it. We have consolidated these amazing tutorials on YouTube about ERP to help you learn ERP faster. Why ERP System Is Needed? ERP systems help automate and manage supply and demand problem for any business. Most efficient ERP systems eliminate delays and drive efficiency in planning. Small businesses who are newly launched in the business market always face many kinds of ups and downs in their state of progress. However, ERP based software is linked with all of the departments of the company, which may reduce the lack of success and which can also protect the goals needed to be met. Small businesses are having many benefits in it if we say it SAP BUSINESS ONE GOLD PARTNER then it will not be wrong because of its many benefits. A few of the benefits are discussed below. Transparency can be measured. When there was no concept of ERP software, every department had their own information system with their relevant data. But now with ERP software, all the data is accessible by all departments in the company, which reduces the need for entering and exporting data again and again. This results in fewer errors in the system increased productivity and a reduced load on the resources which were being used by the humans. Because of the management of everything in a row, employees and other staff can put their focus towards management and increasing sales volume of the business. Generating on-time data is very much favorable for management and marketing of the company. It also allows the organization to make important decisions without wasting time. The other teams are working on problems which may come up in the process while they monitor all kinds of obstacles so that they can deal with that on time, without effecting on their productivity levels. The best ERP software is that which delivers the best rates, services, and solutions that can resize the needs of the business and can give maximum support to its users. If we talk about the qualities which a good ERP software entails, then we have gathered some of the qualities which are mentioned below. Lessen the needs of Information Technology. For small businesses, you look for the closefisted solution which can meet your all needs, is manageable, and best suits your industry. The small businesses are more rapid and sharper than in the competition because they are newly providing their services and if their services are up to the mark then they can make their organization on the way to go. No business is too small for ERP solutions. ERP solutions always allow the best business, operation and acts are the same as an enterprise scale business. This information which we gathered for you is for those who`re going to start their small business with the integration of ERP software. We wish you the best of luck for your ideas and business. Have a great business ahead.